FAYETTEVILLE, N.C. — Methodist University will host the spring 2017 senior art exhibition, “UNTITLED No. 5,” from April 21 to 28 in the David McCune International Art Gallery. There will be an opening reception from 6 to 8 p.m. on April 21. This event is free and open to the public. The art show will feature the work of students Walter Barnett, Stephen Carroll, Deniel Cestero, Emily Brooke Highsmith, and Javahn Tyson. Walter Barnett was born in Indianapolis, Ind., son of Waltrina and Clifford Barnett. Walter spent all of his childhood in Portsmouth, Va., living there for 13 years. As a child, Walter found his passion for art inspired by his grandfather. At the age of 14, the Barnett family moved to Wilmington, N.C. Early in high school, Walter avoided all art classes because of his dislike to being directed “how to draw.” In his last semester of senior year, he signed up for an art class that restored his love and passion for art. Doing his senior project on the effects that graphic design has within culture, Walter became interested in the subject. Majoring in graphic design and with a minor in marketing, Walter was awarded the 2016 Jazz Festival Outstanding Graphic Design award and 2016 Anthony J. Delapa Art Achievement Award. A student athlete, he has also been named to the USA South Athletic Conference All-Academic Team, and USA South Athletic Conference All-Sportsmanship Team. After graduation, Walter hopes to work as a designer and in the future hopes to start his own business. Emily Highsmith is a 23-year-old graphic design artist at Methodist University. She was born in Fayetteville, and she grew up with her brother, sister, and mother. Emily’s interest in art sparked in kindergarten art class, in which she won a poster contest involving all the kindergarteners at her school. Her passion to create leads her in many different directions in the field of art. She loves learning new techniques and expanding her knowledge and expertise in the newest and latest in Graphic Design and art. Emily was on the dean’s list in fall 2012, spring 2014, and spring 2016. She will earn her Bachelor of Fine Arts in Graphic Design in May 2017. 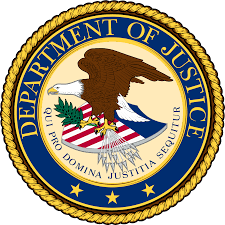 Javahn Tyson-Bryant was originally born in Hickory, N.C. and grew up in a small apartment with his mother and two little brothers, but due to unstable domestic living conditions, his mother was not able to take care of them. Soon after, he was adopted by his grandparents and his love for art began. His grandparents lived in a house in a small town of Lincolnton, N.C. The only contact he had with his biological mother were the letters and the drawings they had done during their few years together. Growing up away from his biological mom was hard, but through those struggles, he grew up quickly. His grandmother worked for the city of Newton and his grandfather was a janitor at the local high school. In the fifth grade, he found his liking for art. Being surrounded by open-minded people and an array of students opened his mind and thoughts to a whole new way of life. His love of design began when he helped his grandmother create color schemes for church programs and flyers for events and festivals. Javahn’s art doesn’t tell a story; his art tells the story of his family, the good the bad, the happy and the sad. It tells of his ups and downs and how they used each other to overcome adversity. Today he is a senior at Methodist University looking to be the first of his family to graduate from a university, which he hopes will set stepping stones for the others to follow. Daniel Cestero is a graphic artist with a love for drawing, painting, and other traditional forms of art. As a child, he was heavily shaped by the dynamic creative changes of the 80’s, with its vibrant colors and digital aesthetics, largely spearheaded by Saturday morning cartoons and the birth of MTV. Frequent visits to Florida to see his grandparents gave him access to venues such as Walt Disney World, Epcot Center, and MGM Studios. These magical places allowed him to envision a world of endless possibilities. He spent hours drawing the fantastic characters and landscapes that filled his dreams. These days, he is a little more grounded in reality having experienced more of life and of the world via his fine art studies for four years at Rice University in Houston, Texas; getting married; serving in the Army for over eight years; and being the proud parent and zoo keeper to his four-year-old daughter Isabella. He is currently working towards a bachelor’s degree in graphic design with a minor in painting at Methodist University. One day he hopes to utilize the skills he’s developed to work on projects within the video game industry with ultimate aspirations to one day start his own media company. Saturday morning cartoons are still a source of inspiration, one which he now enjoys sharing with another budding young artist, his daughter. Stephen Carroll was born in 1981. He is a graphic artist and dad from Moss Point, Miss. At the age of 21, Stephen joined the United States Air Force as a C130 mechanic. This decision allowed him to travel the world, absorbing many different cultures in the process. His art is influenced by 1980s pop culture, horror movies, and video games. After graduation, Stephen plans to work as a freelance artist. 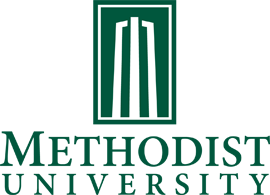 Methodist University is an independent four-year institution of higher education with more than 2,400 students from 41 states and 69 countries. Methodist University offers 80 majors and concentrations, four master’s degree programs, one doctoral level program, 80 clubs and organizations, and 20 NCAA III intercollegiate sports. 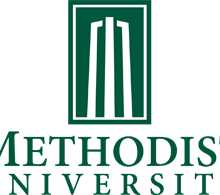 To learn more about Methodist University, please visit methodist.edu or facebook.com/MethodistUniversity.